The Royal Astronomical Society, based in London, has named geophysicist John Tarduno the winner of this year’s Price Medal for “investigations of outstanding merit in solid-earth geophysics, oceanography, or planetary sciences.” Tarduno is a professor of geophysics and a professor of physics and astronomy at the University of Rochester. Tarduno is being honored for his work involving the motion of volcanic hotspots in Earth’s mantle. Hotspots are areas of melting created when hot plumes rise to the surface from deep within Earth, near the core-mantle boundary. When hotspots are located in oceans, the rising plumes can result in island chains, like the Hawaiian Islands. In the classical view, hotspots are fixed in the mantle. New volcanic islands form as a plate moves over a hotspot. Once the plate moves off the hotspot, islands subside leaving a track of atolls and seamounts. The seamounts of the Hawaiian track form a dramatic 60 degree bend—about 1000 kilometers to the west of Midway Atoll–that was traditionally considered the textbook example of a change in the motion of an oceanic plate. Tarduno’s research focused specifically on whether the Hawaiian hotspot had always been at a fixed location. By studying a set of deep-sea basalt cores, Tarduno determined that the Hawaiian hotspot had once been about 1500 kilometers north of its present day position. This suggested that some islands and seamounts could form by moving hotspots, not moving plates. The results were published in Earth and Planetary Science Letters in 1997. “Until John’s study, testing the general assumption that hotspots are fixed was limited by a lack of paleomagnetic data from the ocean basins,” wrote Garzione. Later work by Tarduno led him to deduce that the great bend in the Hawaiian-Emperor chain was largely caused by the rate at which the hotspot moved in Earth’s mantle, not simply a change in plate direction. Tarduno’s work has earned him numerous honors, which include several fellowships: Guggenheim, the American Association for the Advancement of Science, the Geological Society of America, and the American Geophysical Union. Tarduno earned both his Ph.D. and M.S. from Stanford University. 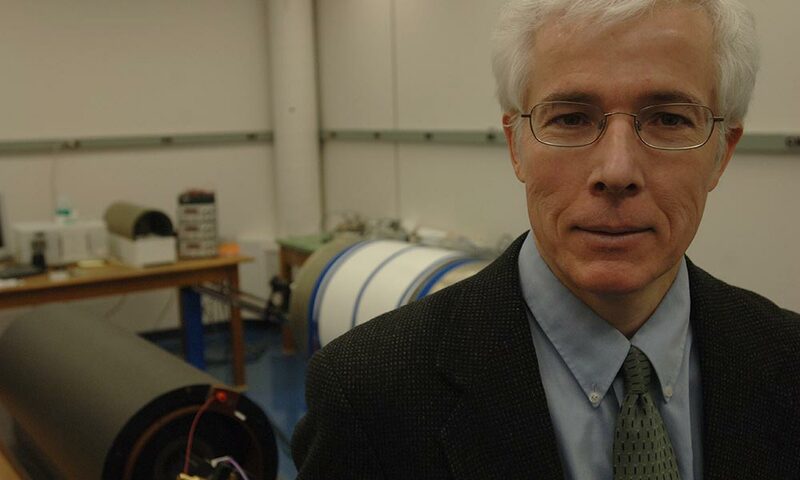 He joined the faculty at the University of Rochester in 1993—becoming a full professor seven years later—and served as chair of the Department of Earth and Environmental Sciences between 1998 and 2006. In 2001 he received the University of Rochester’s Goergen Award for Distinguished Achievement and Artistry in Undergraduate Teaching. Tarduno was honored again for his work in the classroom by winning the Edward Peck Curtis Award for Excellence in Undergraduate Teaching in 2007.